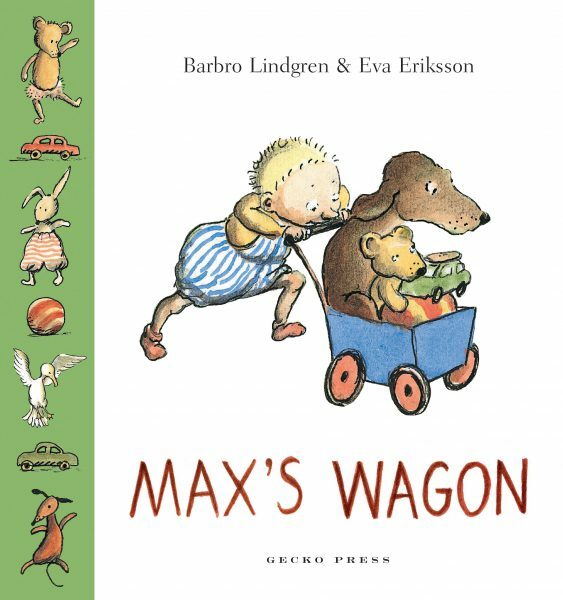 This much-loved tale is now available as a boardbook—perfect for being held by little hands. 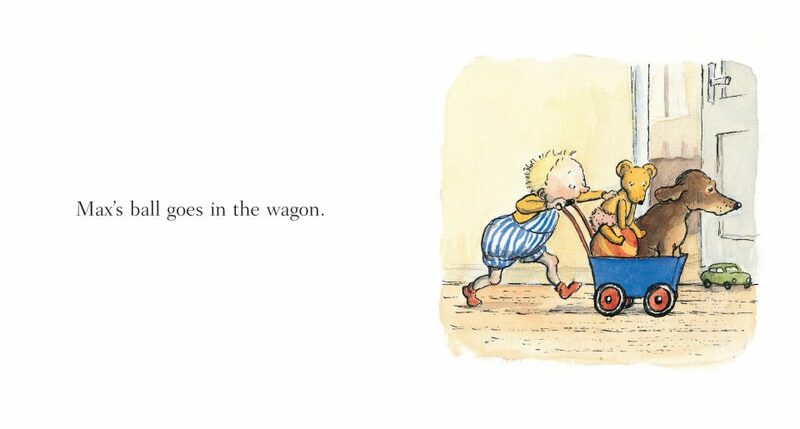 Max’s Wagon is a wonderful first book for toddlers that perfectly captures the play world of children and the delight and frustration as Max attempts to get through the house and out into the garden without losing any of the toys loaded into his wagon. Dog is there to help—but can he be trusted? Max takes Dog, bear and all his toys on a wagon ride—but he’s in for a big surprise! An utter joy. It’s probably the most perfect board book I’ve ever read. 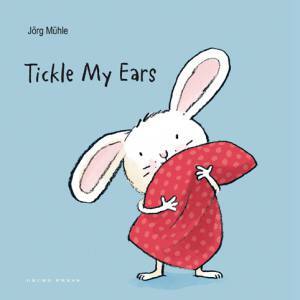 A delight … Perfectly captures the familiar play world and daily life of a young child with simple toys, in a warm and comforting home. Max is a delightful toddler learning to negotiate the world around him. 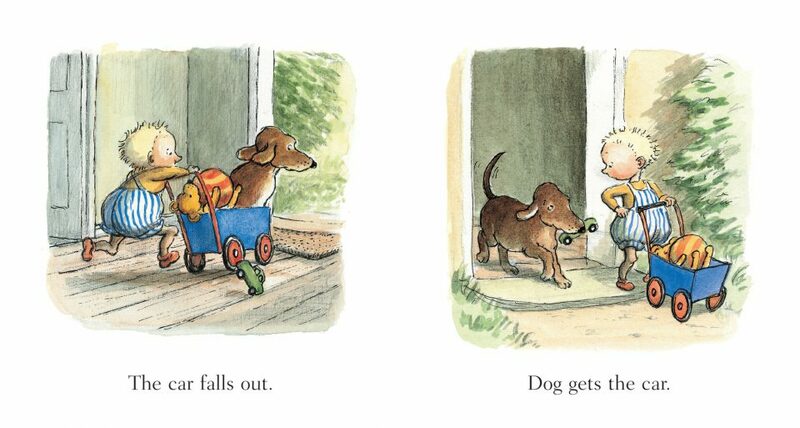 … I love that there are no adults in the illustrations allowing Max his own little independence. These books are so much fun to read, with simple language, gorgeous illustrations and concepts that are both appealing and identifiable. I’m already planning on buying the series as gifts for some little people that I know would appreciate and be delighted by these. 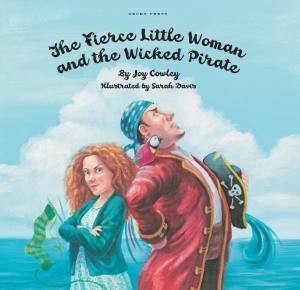 The colourful illustrations are appealing … [This] is one of a splendid series for young children.